New Art Studio: Sponsored by the Sutasoma Trust. Welcome to the New Art Studio, a unique therapeutic art studio for asylum seekers and refugees. We provide a safe space to the some of the most dispossessed members of our society. The studio not only offers a place of solace, friendship and camaraderie, it is a place where all emotion is accepted and held through the power of collective art making. Our members have lost so much, they have fled their homes in terror and now face the punitive and punishing process of claiming asylum. This can take up to ten years, in which they are not allowed to work – existing in limbo. The New Art Studio works to give relief from the effects of profound trauma. Violence shatters one’s sense of self, and one’s trust in others. With this in mind the creative urge and need for expression is ever more pressing. When we have nothing, imagination is our only true place of freedom and autonomy. The process of making art can be life affirming, and allows for new meaning and identities to emerge. Making art can be a profound way of connecting with one’s experiences, and make visible what can be difficult to put into words. We provide an environment where people are listened to, respected, and can support each other. We are aware that people needs are often complex, and recovery is not an easy path, and our membership of the Studio is longterm, and we have an approach that starts with art therapy, but extends beyond the typical limits of therapy, and is responsive to our member’s needs. 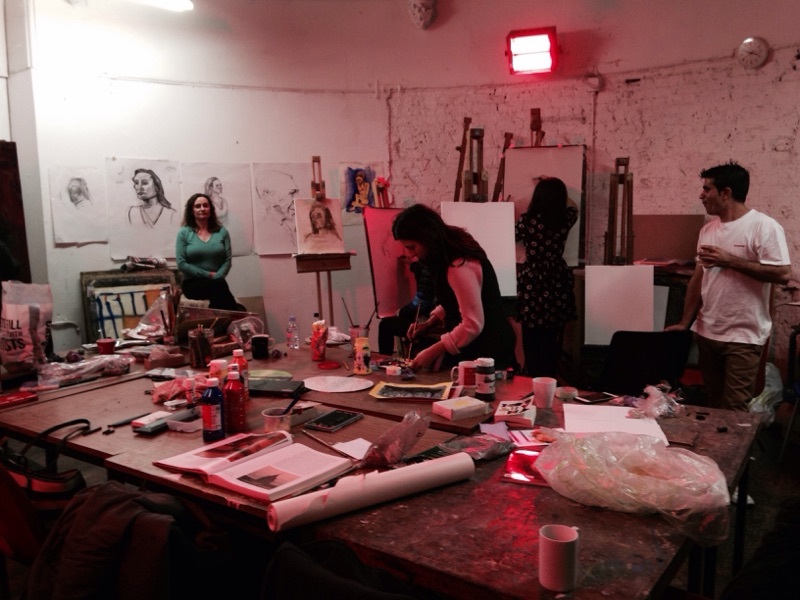 We currently offer life drawing classes, English classes, yoga workshops and opportunity to exhibit art work. The New Art Studio was founded by and managed by Art Psychotherapists Tania Kaczynski and Jon Martyn.